As part of the Linguistics Roadshow, we put together a short survey on some Australian English vocabulary. We invited people to fill it in and tell us which words they prefer for particular things, like potato cakes/scallops/fritters. The responses are fed directly into a map, so that we can see of there are any interesting differences depending on where people come from (and of course there are!). Filling in the survey and exploring the mapped results is part of one of the activity groups in our school visits. It forms the basis of a discussion about why language might vary, and the sort of data we might collect to test and quantify differences in how people use language. The last few maps don’t show much in the way of regional variation, and we didn’t expect them to – we referred to these when talking about other reasons why language use might vary, such as age, gender, or context. 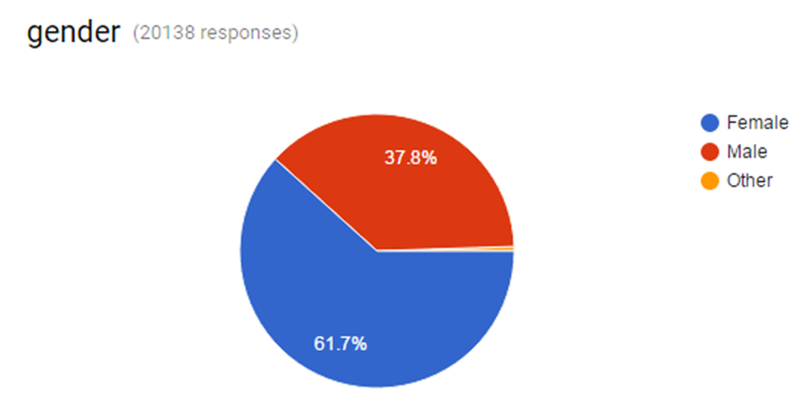 These results are brought to you by the 2015 Linguistics Roadshow team: Katie Jepson, Jill Vaughan and Rosey Billington, with additional mapping help from Lauren Gawne. Here are some maps showing responses for each of the items in the survey. What general term do you use to refer to swimwear? What do you call the object that you might drink water from in a park or school? Which term do you use when someone’s nose is bleeding? What do you call the place where you might buy lunch at school? Does the word ‘dance’ rhyme with ‘pants’, or ‘aunts’? What do you call a frozen, water-based sweet treat? What is your preferred way of describing a thing or situation that is pretty good? When we first uploaded these maps, we had a couple of thousand responses, but now there are over 20,000 responses to the survey, from all across the country! 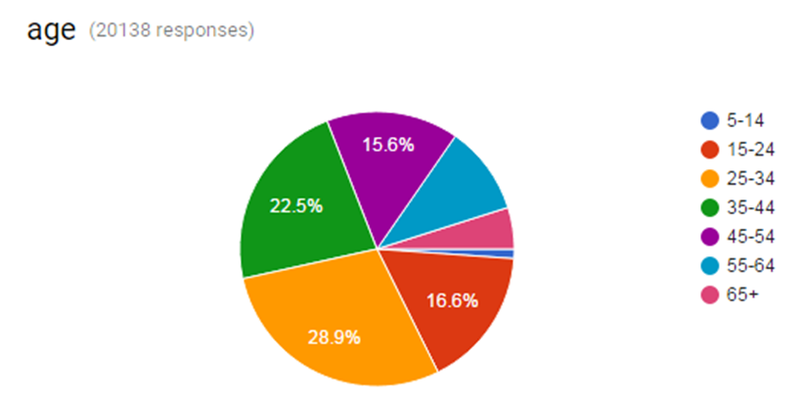 If you would like to see a breakdown of how many people chose each variant, check out the summary pie charts. There are more responses from people aged 25-34 than other age groups, as well as more responses from women (these graphics based on responses up to Nov 24th – check the summary charts for updates). Thank-you to Lauren Gawne of superlinguo for her assistance in producing these maps, and thanks to the many enthusiastic people who contributed their answers for us to map! If you would like to take part in a much more comprehensive survey on variation in Australian English, check out ozenglishstudy.wordpress.com to find out about a research project by Sydney Kingstone, and add your responses there too!